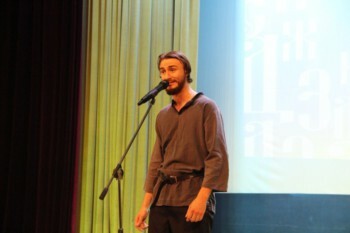 On May 24, for the first time on the stage of Perlovsky building of MRSU, was held the Day of Slavic Writing and Culture this celebration traditionally organize by the Faculty of Russian Philology! 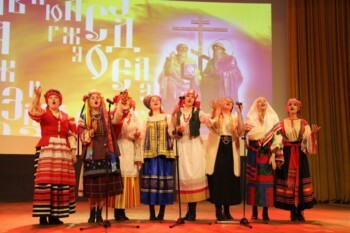 During a concert timed to the Day of Memory of the Sacred Equal Apostles Brothers Methodius and Cyril, the moderators held a quiz for students on the knowledge of the Old Slavonic alphabet. 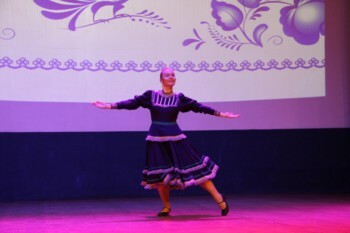 But the main adornment of this event was the performances of our students: “The Golden Word of Svyatoslav”, Russian folk dances, and at the end of the festival – “Slavic Wreath”, consisting of songs in Bulgarian, Macedonian, Belarusian, Ukrainian and Russian languages, performed by K.A. 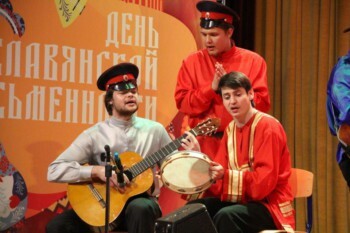 Voylova’s Folk Band “Vinogradia”.  We hope that a wide celebration of the Day of Slavic Writing and Culture will attract students and teachers to save traditions of our people.